A local design and build for Farnham hospital. 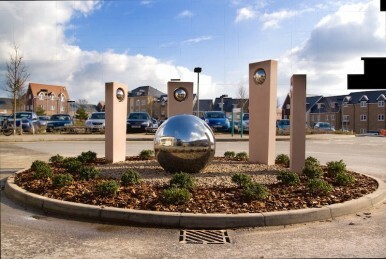 We worked with the facilties management team and the PCT trust to produce a roundabout landscaping design that was a simple visual representation of family members with a single reflection point. Specialist lifting equipment and structural engineers were used during and for this installation. These materials were specially commissioned and produced and our skilled team installed these over a weekend to minimise noise and disturbance.